Whats the story behind that,obviously he wasnt happy with ARNOLDs win! As did Coe, Mentzer and a few others. Dickerson was in fact part of the boycott and backed out last minute . . . who would have thought one of them would do that. Can't really blame them. Zane said that many of the guys didn't talk to Arnold for a long time after 1980. I think they all felt betrayed because Arnold lied to them and also some strings were supposedly pulled so Arnold could compete since he had missed the deadline to formally sign up..
All this is what led to people believing that Arnold was given the Olympia on a silver platter by his friends in the industry. I often wondered if the reason Arnold did the 1980 Olympia was because his movie career wasn't going that well at that time. Remember, this was four years before Terminator. Arnold was the promoter of the 1981 Olympia so that is why they weren't going to compete. Correct, they felt they wouldn't get a fair shake against a friend of Arnold's like Franco Columbu. it wasn't the first time Arnold betrayed the american bodybuilders. in the late 60's he was friendly with them all until franco arrived. then he called them all paper champions in an article. arnold wanted to teach zane and mentzer a lesson, he said this a few times. What lesson? That he owned the IFBB? 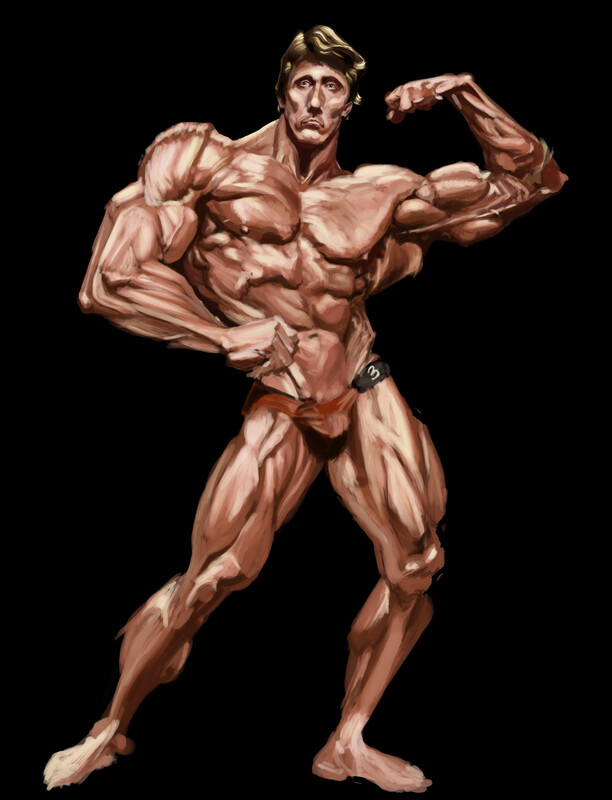 The winner of a bodybuilding contest is a subjective thing. I watched the film of the 1980 contest. Even though Arnold was at 80% he looked better than anyone else at that contest. Zane and Dickerson was the most ripped. I could have seen Dickerson winning looking at still pictures. Mentzer looked good but he wasn't the winner when three guys looked better. Look at anyone standing by Arnold in the film and he just looked better. HA HA HA HA SILLY KIDS. NOW YOU KNOW WHY ARNOLD IS NUMBER #1. I think Arnold won this contest fair and I have`nt seen video footage. Even if Arnold was`nt at his best, he was good enough. One thing that could be said against him was the he did`nt do some of the mandatory poses. Side triceps and rear latspread. It`s almost impossible to find a pic of Arnold doing rear latspread even from his better years. Kinda like the opposite of Yates. Arnold's a scumbag. He wasn't supposed to be allowed to enter the show last min. Of course the IFBB made an exception cause he's Arnold. That's an obvious violation of the rules. There's no rule about exceptions. You sign a contract by a deadline for a reason. Arnold 6 time Mr. O. Dorian is the better 6 time Mr. O.
Arnie actually had seven wins. No, 1980 doesn't count. Null and void. 6x Mr. O. Dorian is the better 6x Mr. O. Arnold is a prick. Some of us in Sydney knew Arnold had enterred the Olympia in 1980 about a month beforehand. Paul Graham, the promoter, told me but to not broadcast it. So it was no last minute entry. Paul and Arnold were mates, however, and lived together in LA just after Arnold arrived in America. Zane is a cocky guy and when Arnold suggested that winning the Olympia for the third time must made him feel the best ever Frank smugly replied that no, beating Arnold for the Universe in Miami in 1968 was a bigger thrill. That pissed Arnold off. Guys like Arnold are already motivated so adding fuel to the fire is not helping things. He trained in secret. Then Frank got hurt just before the contest and lost some size. He damaged his urethra in a swimming pool when he fell. Ouch. Read the long thread of 38 pages over at Ironage for more photos and details. It is all there. However, you have to join the site first to read the forums. 1980 doesn't count? it is in the record books!